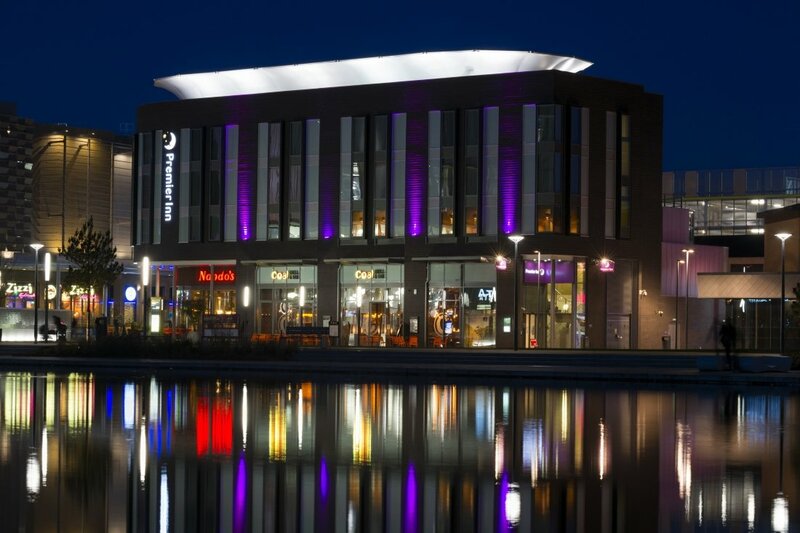 A selection of some of our finest, beautifully bespoke tensile fabric structures. 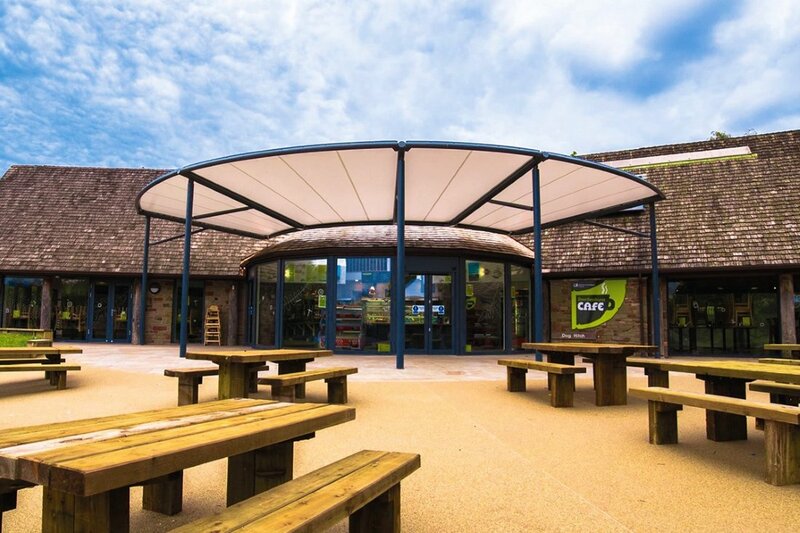 Two bespoke tensile fabric canopies at Beechenhurst Lodge, Forest of Dean. 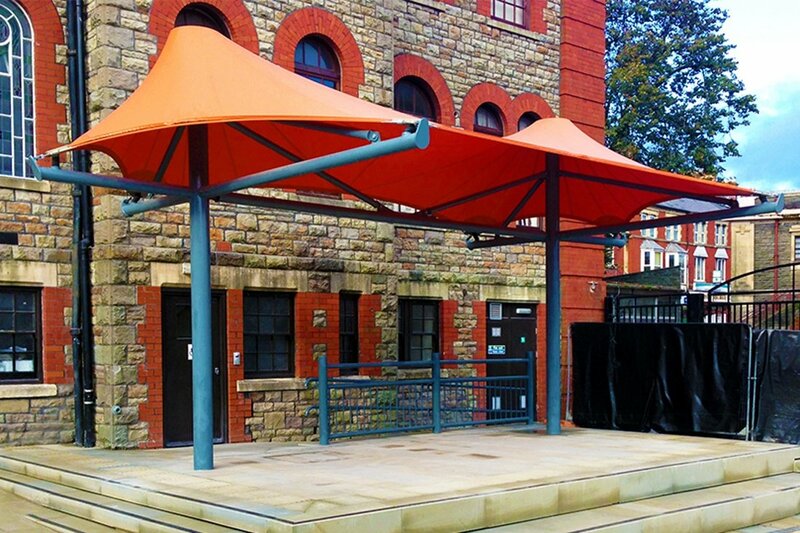 Bespoke 9m x 5m 'Double Conic' tensile fabric structure for the new outdoor market in Maesteg, Wales. 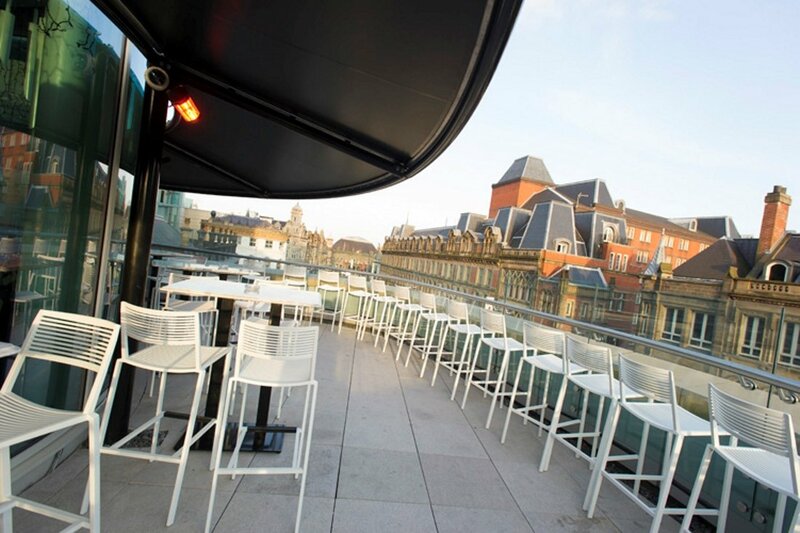 Bespoke 14 bay cantilever awning canopy system at the Alchemist Trinity bar and restaurant, Leeds.